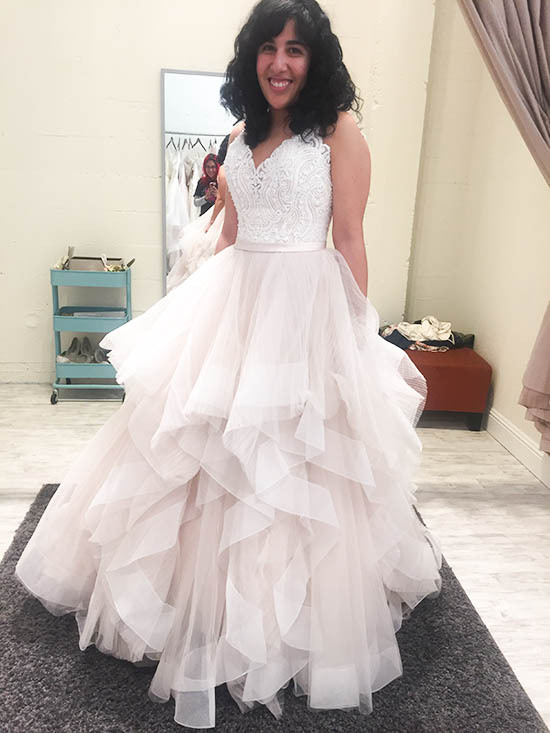 I don't know how this happened, but I ended up putting off wedding dress shopping until the last minute. You would think with my love of shopping, I would have wanted to get this special shopping experience started early, but no, that was not the case. 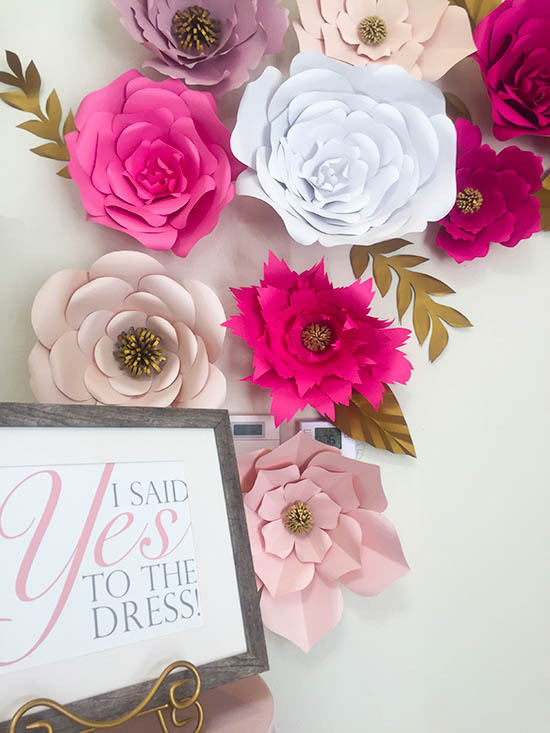 Initially, this shopping experience was delayed because of the uncertainty of our wedding venue. 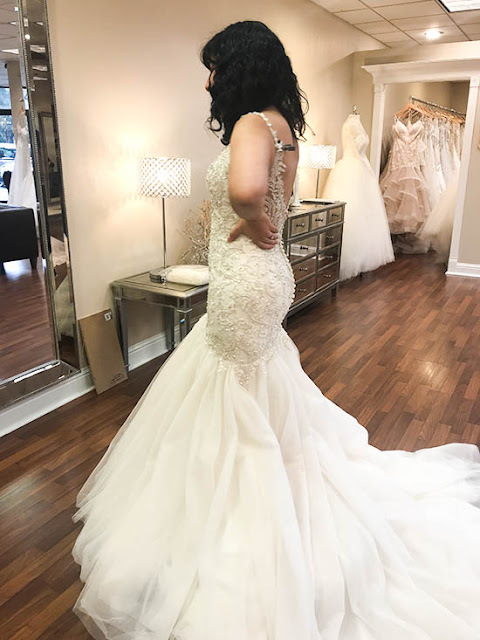 My fiance, Armando and I both were looking for an outdoor venue, and I wanted to make sure my dress worked with where our wedding would be. 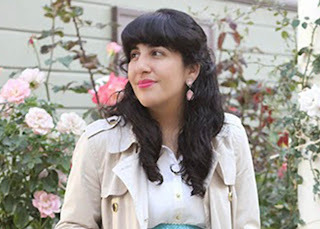 We booked The Fox Theater in Downtown Salinas and changed our travel-themed wedding to a Gatsby art deco wedding to go with the venue's natural vibe. 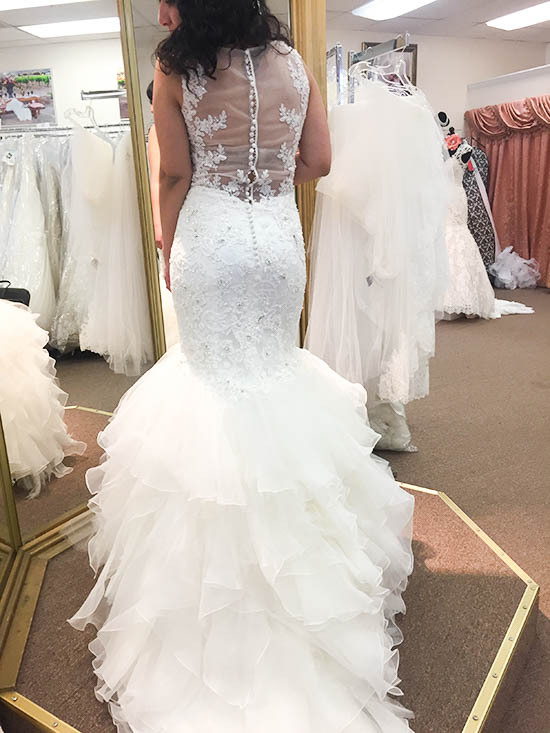 On the bright side, I created a Pinterest board with wedding dresses I kind of liked and knew what kind of silhouette I was going for. I wanted a mermaid dress and now with the venue selected, I wanted a vintage glam vibe. 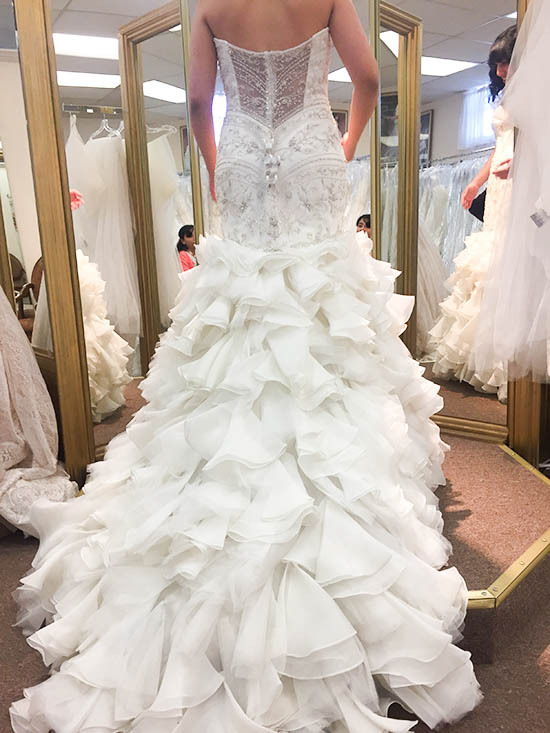 Finding the venue really helped me focus on the look I was going for and made my "last minute" wedding dress shopping a lot easier. 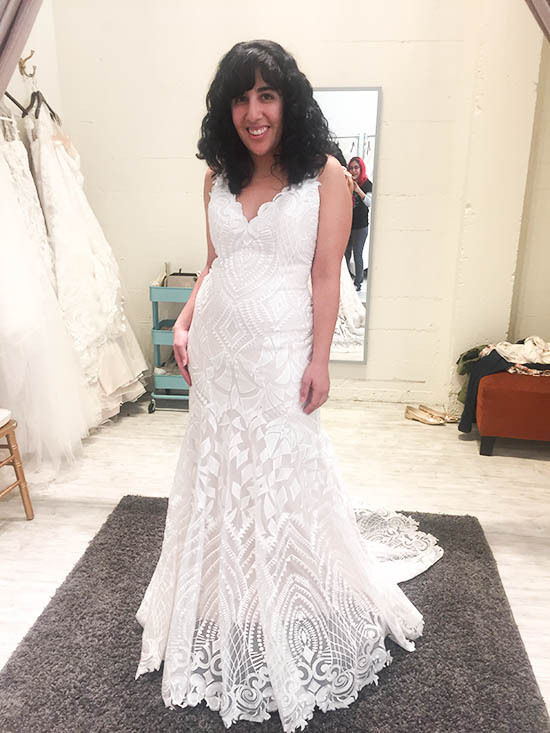 Most people will tell you, it's best to order a new dress 6-8 months before your date, but I doubt anyone would recommend starting to shop 6 months out, which is what I did. I wouldn't recommend waiting too long if you don't have a clear idea of what you want to look like on your wedding day. 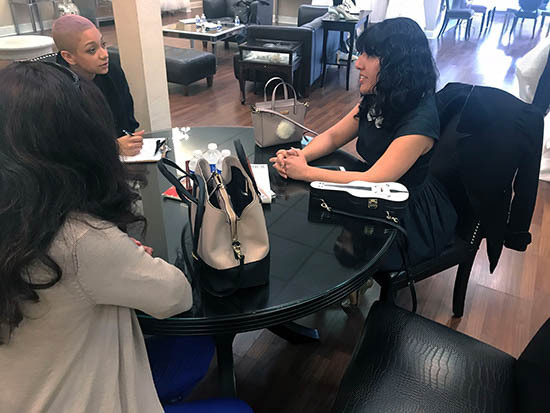 I made 3 appointments at 3 very different boutiques in the South Bay Area. All of these places required an appointment being made beforehand. 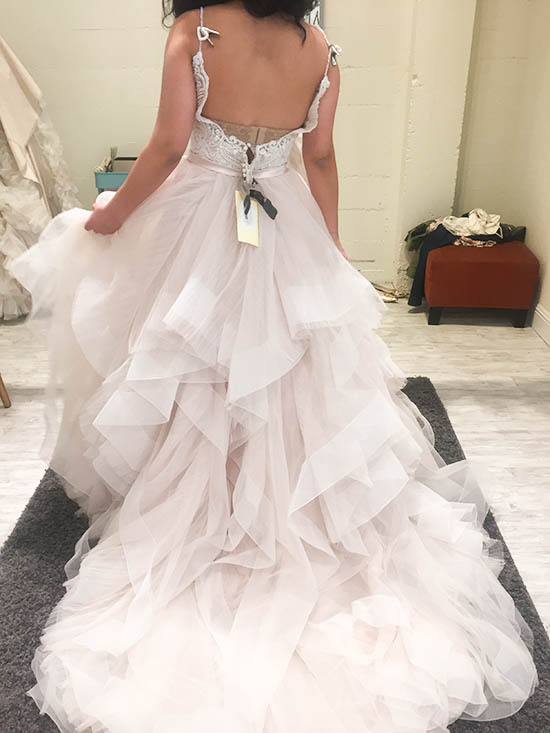 I tried on way more dresses than I am posting, but these were my favorites, especially because of their vintage glam vibe. BoLee Bridal Couture in Sunnyvale. 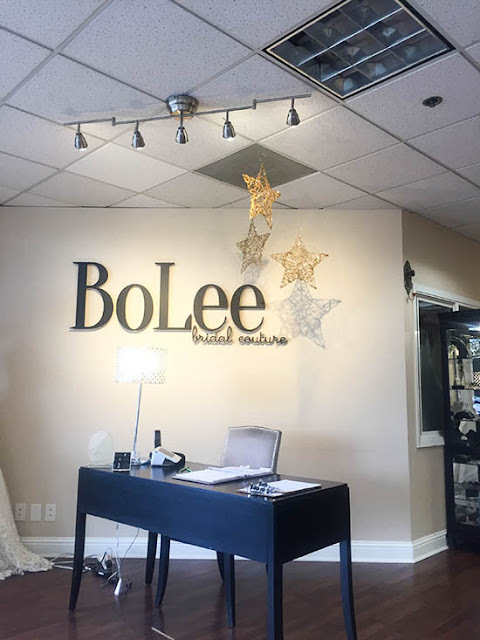 First up was BoLee Bridal. A friend of mine recommended this shop to me. 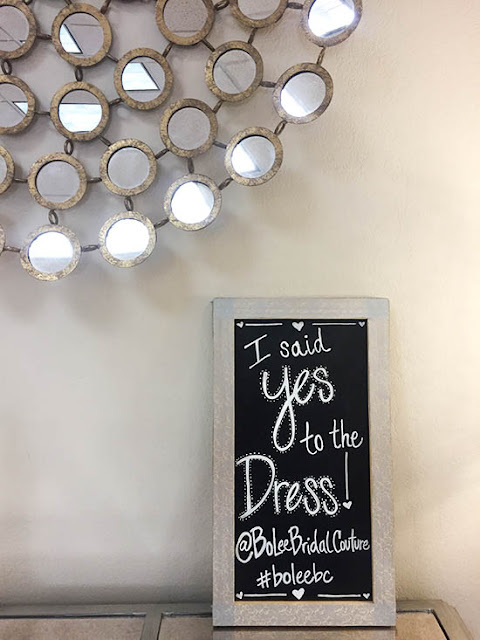 The vibe of this boutique made me think of Kleinfeld with the discussion with the stylist and the feel of the appointment, but just a little more casual. 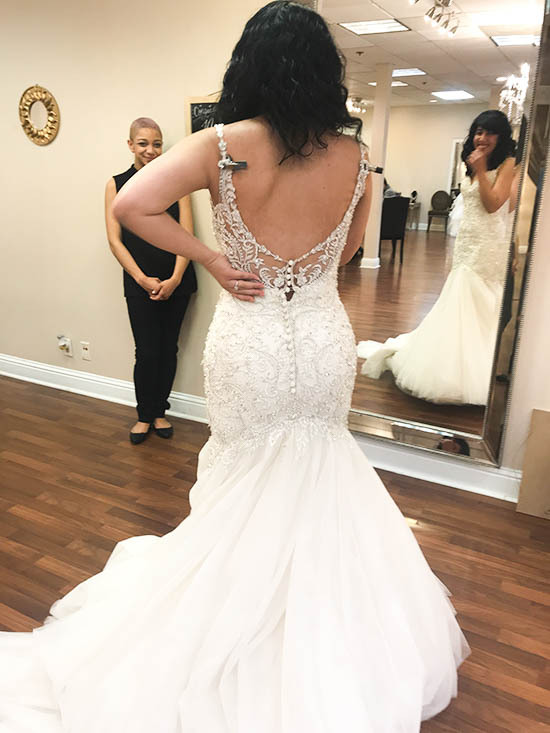 My stylist was great and really nailed in on the silhouette I wanted with her picks and was very mindful of the budget I had set, asking if my budget included alterations or not. 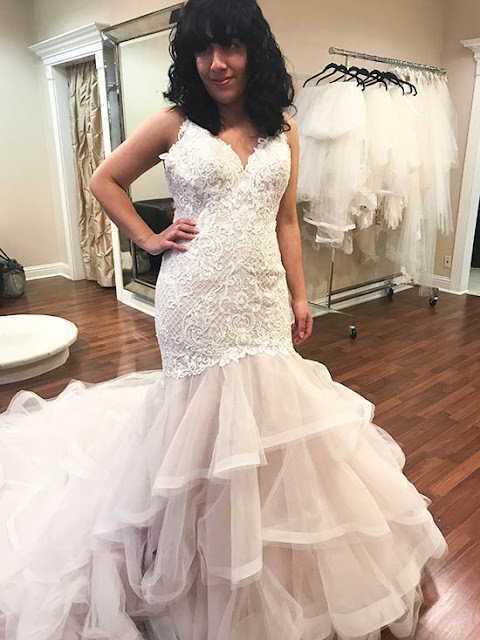 I went with my mom and my sister and had a great time trying on dresses. Dresses do not get altered here, unfortunately, but you can get a discount for a few recommended tailors. 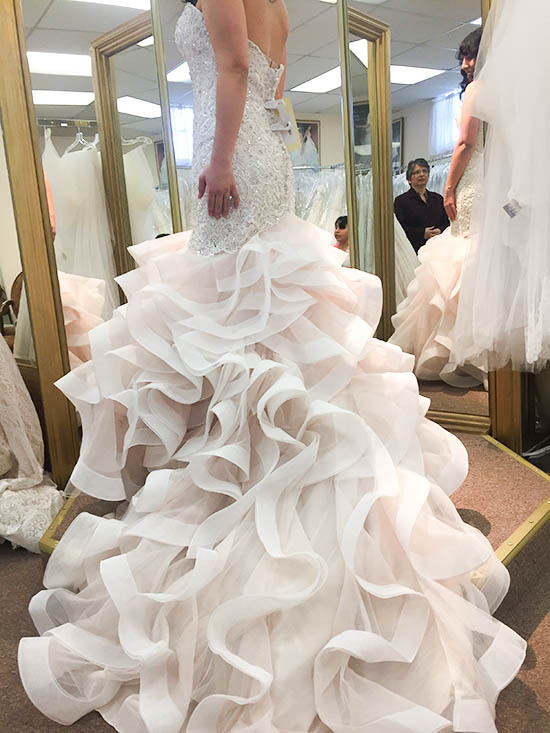 In total, I tried on 5 dresses at BoLee Bridal. The Brides of California boutique was my favorite with their decor and overall shopping experience. 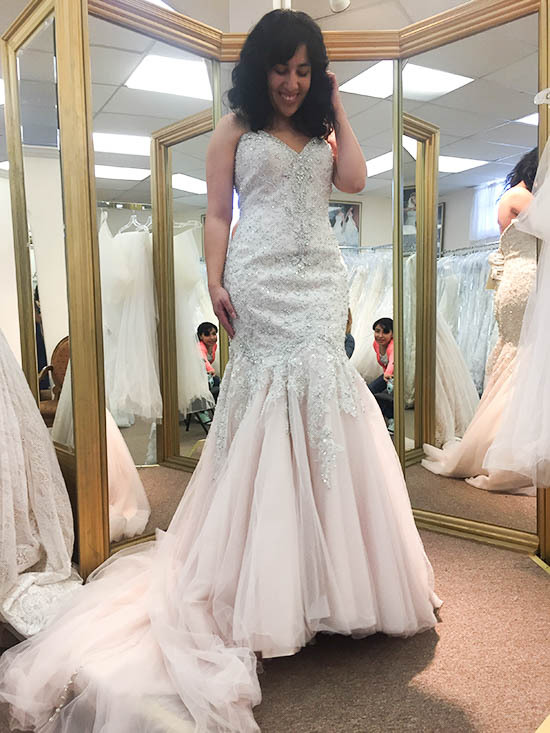 My stylist honed in more on vintage glam vibe versus the silhouette and never showed me dresses that went over my budget. My mom couldn't make it to this appointment, but I was joined by my sister, brother's wife, and my niece. 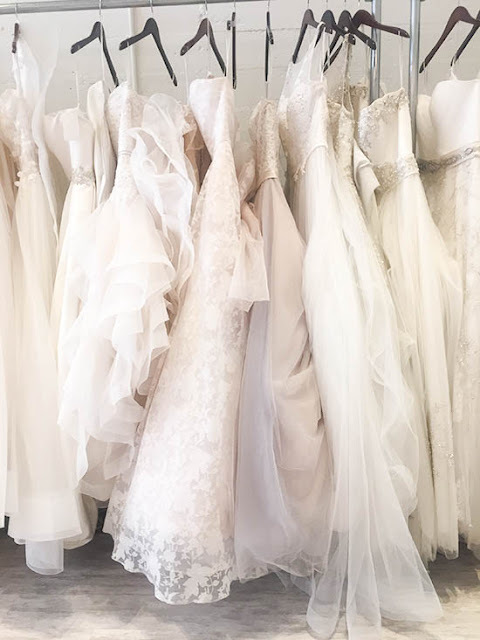 There were water bottles and cookies for us during the appointment and plenty of beautiful dresses to swoon over. 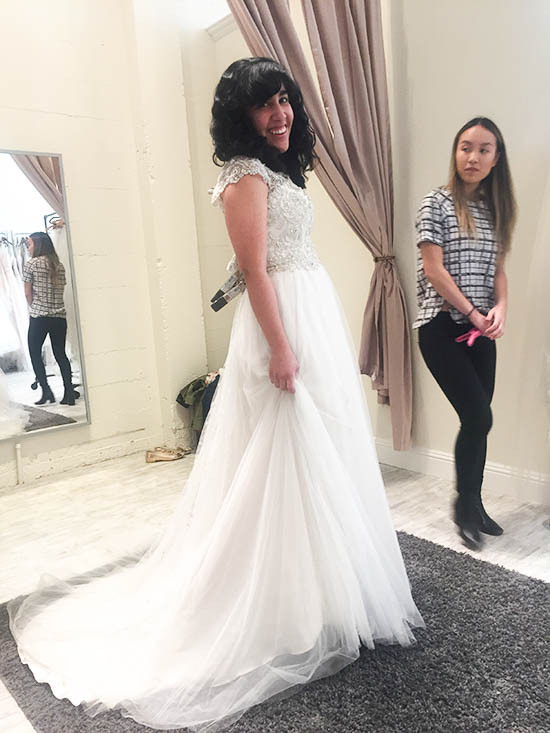 I had the most fun here because I tried dresses on that I would not have considered before, and because my stylist Stephanie was super sweet. In total, I tried on 8 dresses at Brides of California. My last stop was Mafalda's Bridal Shop in Gilroy. 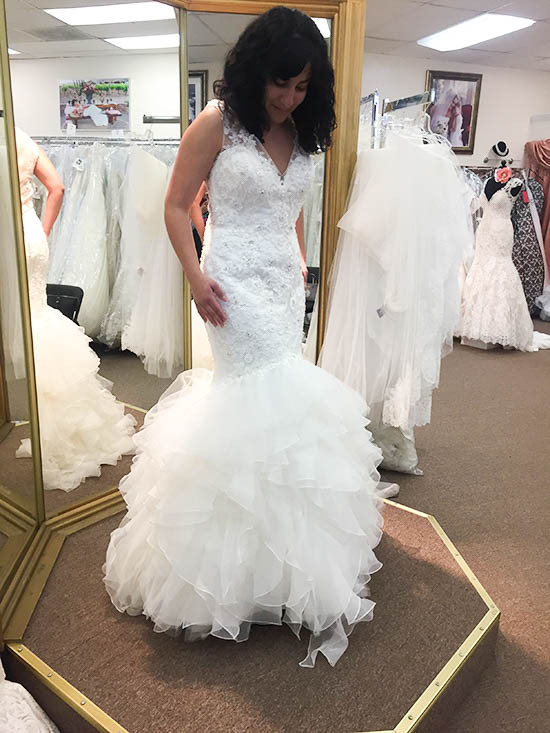 My mom and dad renewed their vows to commemorate their 25 year wedding anniversary, and I recalled our experience looking for her dress in Downtown Gilroy. The shop she purchased her dress had closed, but she definitely visited Mafalda's and tried dresses on here. I tried more than 10 dresses here, and I am not sure if it was because it was my last stop, but I started feeling like they all looked the same. 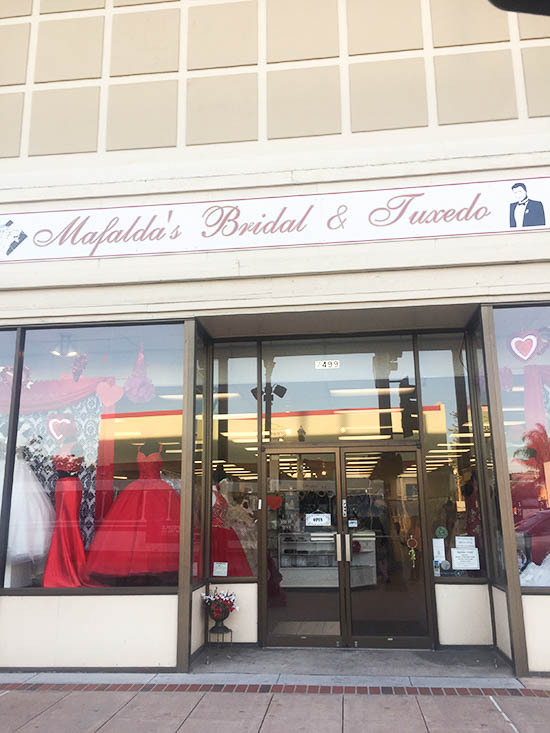 I appreciated that Mafalda's does take care of alterations and they offered a discount if you buy your dress here. I tried on 9 wedding dresses at Mafalda's. 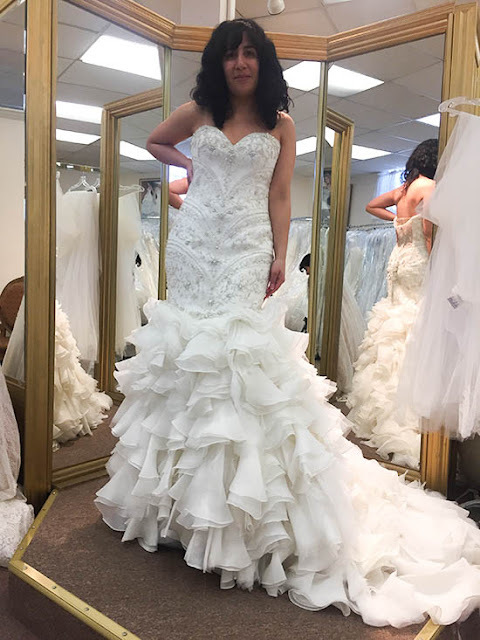 Now I should note, the wedding dress I selected was one I was going to try first, but my stylist recommended I set aside the one I liked the most at first sight. I left BoLee Bridal with my mind hung up on a dress I tried and I was conflicted on leaving without ordering it in order to take advantage of a discount going on that weekend. 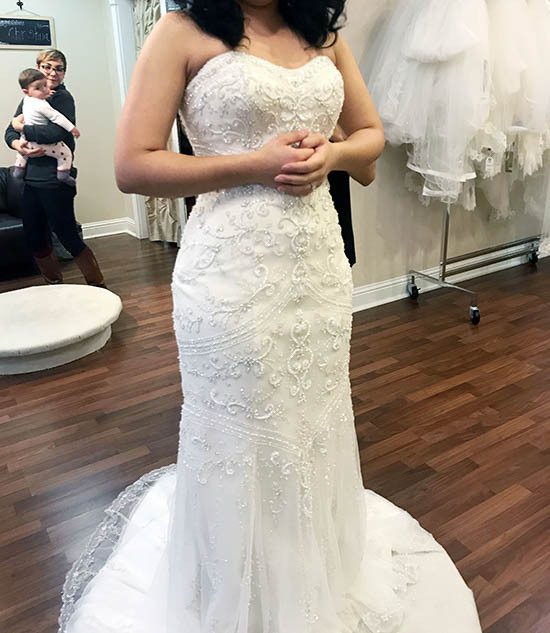 I loved how this Sottero and Midgely Hardy dress hugged my figure, all the intricate beading, and beautiful straps. It sparkled with all of it's Swarovski crystals, and looked amazing with the reception lights in the fitting room. 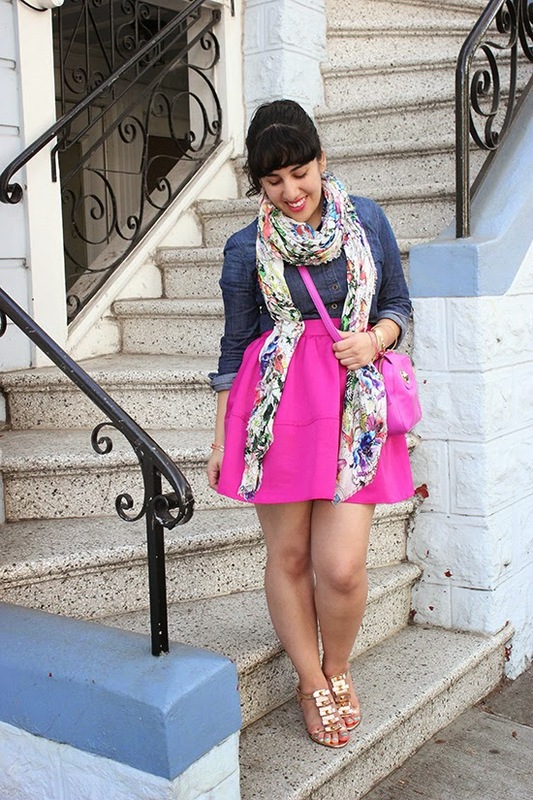 I was convinced I was looking for a strapless dress, but this completely changed my mind. 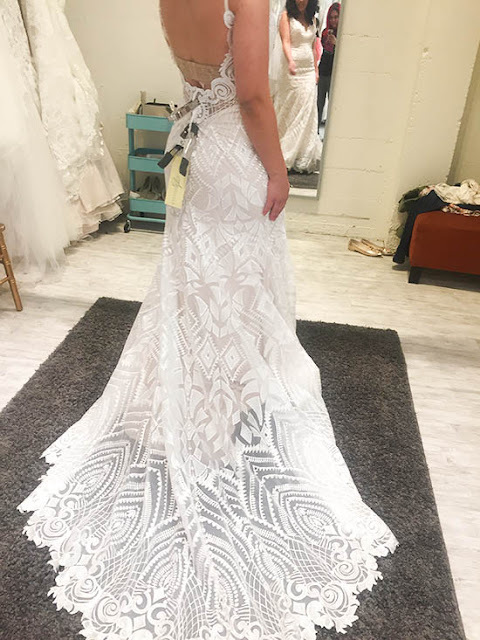 My sister and mom said my face lit up when I tried on this dress, and I could envision mysef walking down the aisle in this and also seeing it work for our Gatsby-themed reception. 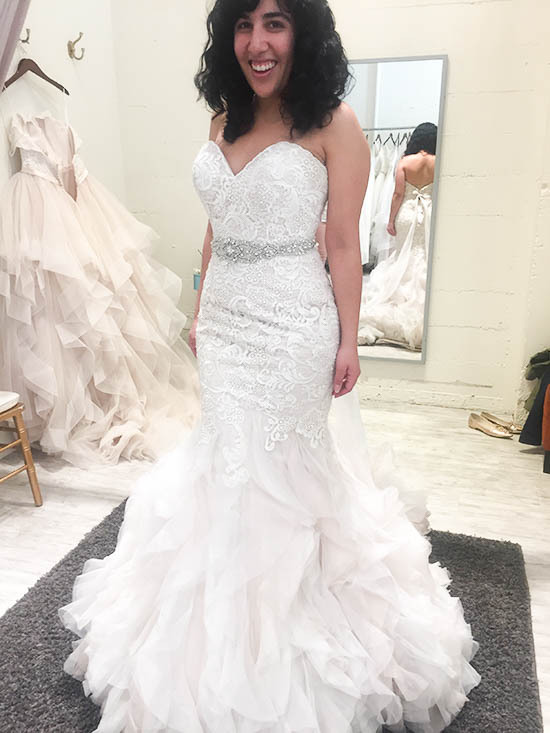 I said "Yes to the Dress!" and ordered it in the pewter champagne color. I crossed my fingers hoping that it would arrive on time. The next day at work, I had a little buyer's remorse and still had my other two appointments scheduled. 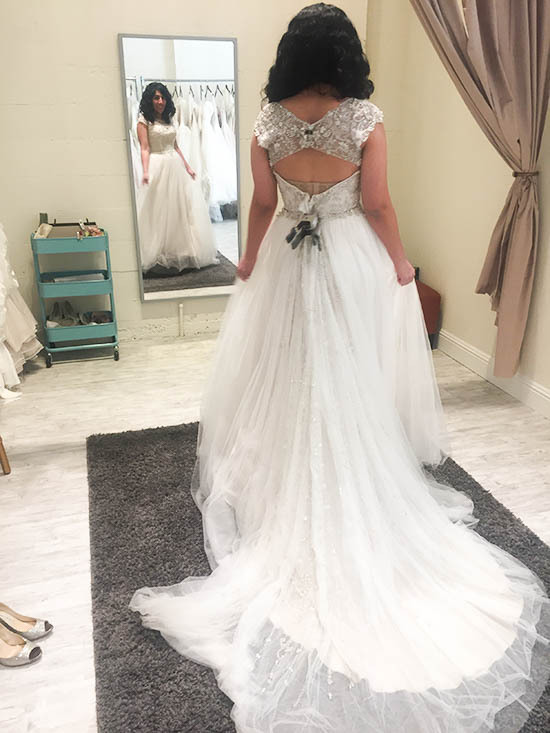 Although I had already ordered my dress, I had some doubts that it was "the one," despite how I felt I looked in it. 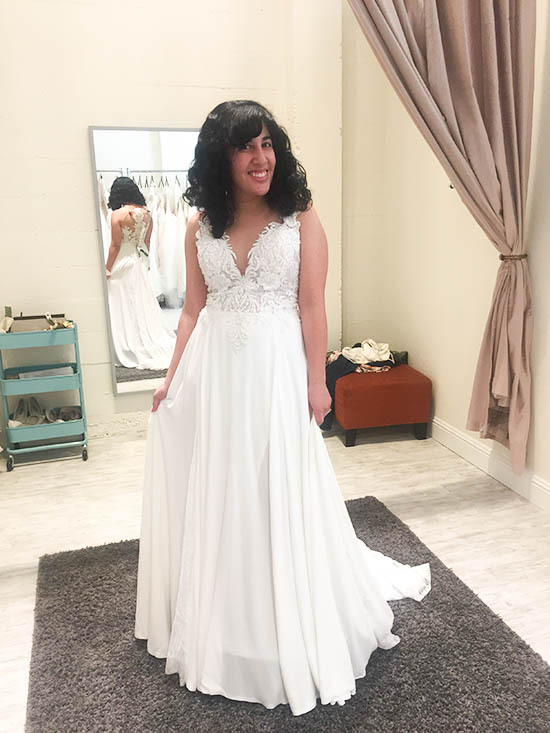 I felt it had been too easy, and I felt a little bit of panic when I thought about how I picked a dress from the first shop I went into. 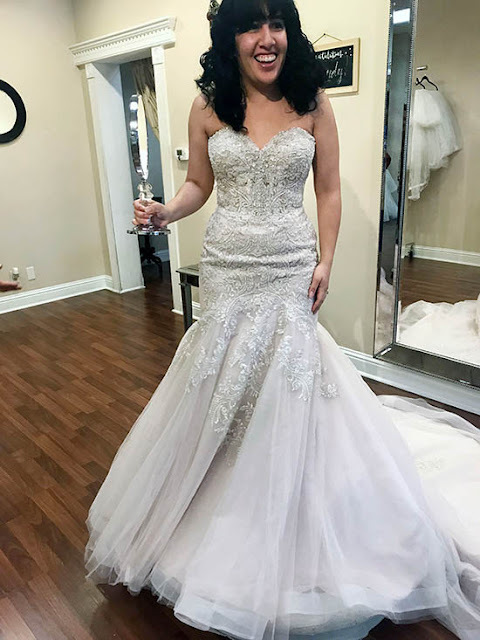 In going to the other shops, and trying 21 other wedding dresses, it helped me feel a lot better about my choice and I couldn't wait to wear it on my wedding day. 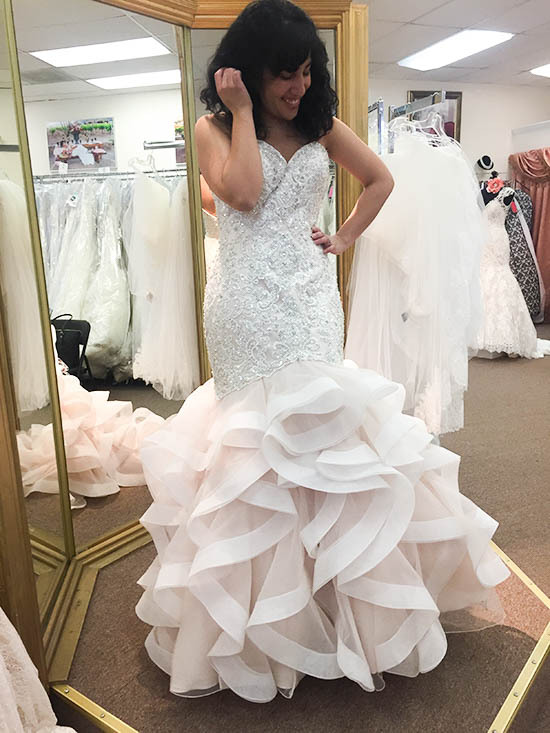 If I hadn't gone with the Hardy dress, I probably would have gone with the strapless sweetheart dress from Brides of California because of it's price and because of the fit. Overall, I was really happy with my choice once I saw some other options on me and I had a fun shopping experience with the ladies in my family. 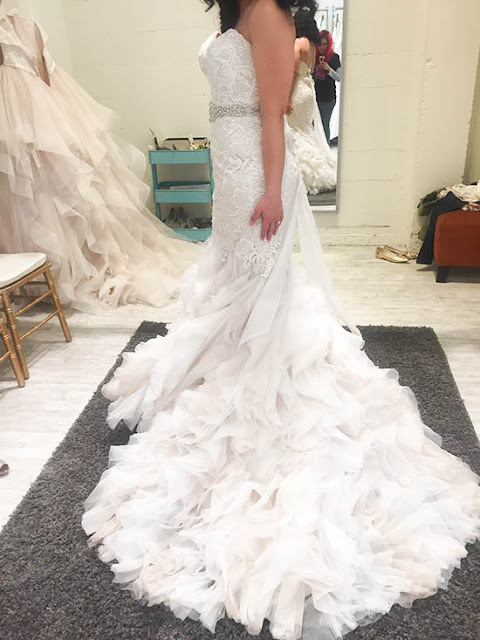 I had my "Say Yes to the Dress" moment and recommend checking out all of these places if you are on the hunt for your dream dress. 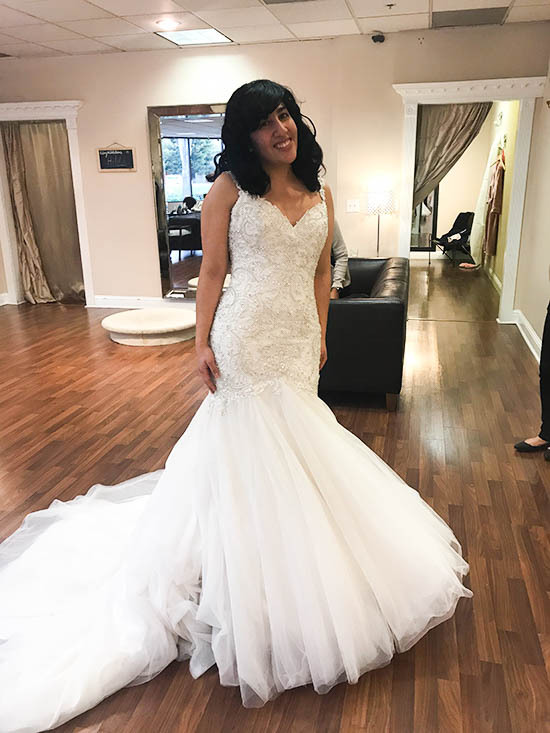 In the end, I was most excited about how my fiance, Armando, would react to the dress on our wedding day, but that's a story for another post!